In September, energy storage company redT energy (LON:RED) released results for the six months ended 30 June 2018 showing revenue of £1.2m (84% from its US carbon business) and a loss before interest and tax of £5.7m, largely in-line with our expectations. This was followed in early October by a £5m placing and an announcement that it was seeking strategic partners to support and finance the continued growth of the business. Since then it has also confirmed that its flagship 1MWh Australian project is now operational. In H2 2018 RED has made considerable in-roads into its key target markets of Commercial & Industrial, Grid-Scale and Large-scale Solar, all of which have the potential to lead to significant orders for RED’s flow machines over the next few years. The company’s gross order pipeline now sits at more than one billion pounds, having increased more than three times since the €357m reported in December 2017. This has been conservatively risk-weighted by the company to £188m, an amount that almost covers our revenue forecasts for the next four years. In its interim results, the company also provided a split of its gross pipeline across its three key target sectors – Commercial & Industrial (£115m), Grid-Scale (£702m) and Large-scale Solar (£256m). RED has enough orders in its pipeline to deliver on our forecasts for the next couple of years and as such much of the company’s effort will now be focused on securing infrastructure financing for key orders, scaling up production via its manufacturing partners, and striking one or more strategic partnerships, to satisfy these. We have made some adjustments to our near-term forecasts (see page 7). We maintain our BUY recommendation but move our target price to 21p. Disclaimer: This research report has been prepared by VSA Capital Limited and is solely for, and directed at, persons who are Professional Clients as defined under Annex II of the Markets in Financial Instruments Directive, Directive 2004/39/EC, or as defined in the FCA Handbook. Persons who do not fall within the above category should return this research report to VSA Capital Limited, New Liverpool House, 15-17 Eldon Street, London EC2M 7LD, immediately. This research report is not intended to be distributed or passed on, directly or indirectly, to any other class of persons. It is being supplied to you solely for your information and may not be reproduced, forwarded to any other person or published, in whole or in part, for any purpose, without out prior written consent. This research report is exempt from the general restriction on the communication of invitations or inducements to enter into investment activity and has therefore not been approved by an authorised person, as would otherwise be required by Section 21 of the Financial Services and Markets Act 2000 (the "Act"), as amended by The Financial Services and Markets Act 2012. Neither the information nor any opinion expressed constitutes an offer, or an invitation to make an offer, to buy or sell any securities or any options, futures or other derivatives related to such securities. The information and opinions contained in this research report have been compiled or arrived at by VSA Capital Limited (the "Company") from sources believed to be reliable and in good faith but no representation or warranty, express or implied, is made as to their accuracy, completeness or correctness. All opinions and estimates contained in the research report constitute the Company's judgments as of the date of the report and are subject to change without notice. The information contained in the report is published for the assistance of those persons defined above but it is not to be relied upon as authoritative or taken in substitution for the exercise of the judgment of any reader. The Company accepts no liability whatsoever for any direct or consequential loss arising from any use of the information contained herein. The company does not make any representation to any reader of the research report as to the suitability of any investment made in connection with this report and readers must satisfy themselves of the suitability in light of their own understanding, appraisal of risk and reward, objectives, experience and financial and operational resources. The value of any companies or securities referred to in this research report may rise as well as fall and sums recovered may be less than those originally invested. Any references to past performance of any companies or investments referred to in this research report are not indicative of their future performance. The Company and/or its directors and/or employees may have long or short positions in the securities mentioned herein, or in options, futures and other derivative instruments based on these securities or commodities. Not all of the products recommended or discussed in this research report may be regulated by the Financial Services and Markets Act 2000, as amended by The Financial Services and Markets Act 2012, and the rules made for the protection of investors by that Act will not apply to them. If you are in any doubt about the investment to which this report relates, you should consult a person authorised and regulated by the Financial Conduct Authority who specialises in advising on securities of the kind described. The Company does and seeks to do business with the companies covered in its research reports. Thus, investors should be aware that the Company may have a conflict of interest that may affect the objectivity of this report. To view our policy on conflicts of interest and connected companies, please go to: http://www.vsacapital.com/policies/conflict-of-interest-policy. The information in this report is not intended to be published or made available to any person in the United States of America (USA) or Canada or any jurisdiction where to do so would result in contravention of any applicable laws or regulations. Accordingly, if it is prohibited to make such information available in your jurisdiction or to you (by reason of your nationality, residence or otherwise) it is not directed at you. 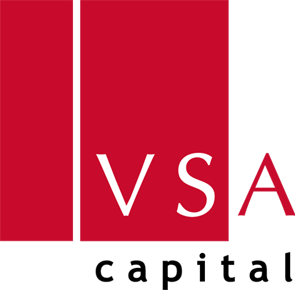 VSA Capital Limited is a London based investment bank providing corporate finance and corporate broking services to companies operating in the natural resources sector.